New York City is seeking proposals to develop and operate a 200,000-square-foot media production space on the Sunset Park waterfront. 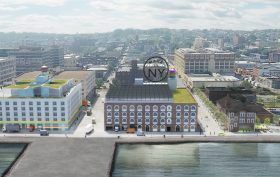 The Mayor’s Office of Media and Entertainment and the New York City Economic Development Corporation announced Thursday it is looking to build a state-of-the-art film, television, sound recording or other similar production space at the Made in New York Campus at Bush Terminal. Scheduled to open in 2020, the campus is expected to become a hub for garment, manufacturing and media production. On Wednesday the city announced that it’s bringing back the One Book, One New York program to get New Yorkers reading and support independent bookstores in the five boroughs, the New York Times reports. Starting in early March, residents from all corners of the city will be encouraged to read the same book, which will be chosen in an online vote from a small group of finalists. 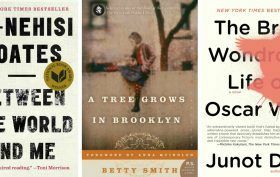 The five choices are: Ta-Nehisi Coates’s “Between the World and Me,” Paul Beatty’s “The Sellout,” Chimamanda Ngozi Adichie’s “Americanah,” Betty Smith’s “A Tree Grows in Brooklyn” and Junot Díaz’s “The Brief Wondrous Life of Oscar Wao.” But the first challenge the program faces is to get New Yorkers to agree on a book.